Where is the InTouch Machine Edition class held and how long does it last? The InTouch® Machine Edition 2014 course is a 4-day, instructor-led class designed to provide a fundamental understanding of the features and functionality of the InTouch Machine Edition software. 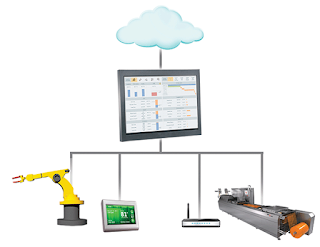 InTouch® Machine Edition enables End Users and Machine builders to quickly create intuitive, secure, and highly maintainable HMI applications for intelligent machines and on a variety of low level devices using embedded operating systems. The class will be held in the main Wonderware by Schneider Electric office located at 10 Orchard Lake Forest, CA 92630 866-998-7246 . 15-minute breaks will be offered in the morning and afternoon, and an hour for lunch. The instructor will also be available after class and during breaks for any follow-up on that day’s topics. Application developers, engineers, system integrators, consultants, and other individuals (Programmers, OEMs) who need to use InTouch Machine Edition in their manufacturing processes or for machine, panel and system builders. Well first off, breakfast, lunch and refreshments will be provided. Explore Southern California; that is after you get a good understanding of the subjects below. Need more reasons? Take a look at all the topics covered and everything will be provided to you. The course provides lectures and hands-on labs to supply and reinforce the knowledge necessary to use InTouch Machine Edition to develop an HMI for their specific plant floor environment using basic InTouch Machine Edition elements. This HMI application will be developed using many of the InTouch Machine Edition software features and functionality such as Tags, Classes, Indirect Addressing, Animation, Symbols, Scripting, Alarms, Real Time and Historical Trending, Reports, Recipes (many types including XML), Store-and-Forward Historian (including the Wonderware Historian, PLC Drivers, Remote Troubleshooting, Remote Clients and Project Security, Application Backup) and more. The class uses an intensive hands-on approach, including building a complete project from scratch. The student may choose to create the project along with the instructor, and at the end of the training will be able to take their project as well as the instructor’s home with them for future reference. Each student will receive a copy of the InTouch Machine Edition installation, notebook, and USB flash drive for the class project. Coffee, breakfast, soft drinks, snacks and lunch will be provided. Can I bring my own laptop to use? What are the capabilities of the project created during the InTouch Machine Edition Training course? What are the course requirements? Do I need to know InTouch Machine Edition before the course? It is not necessary to be familiar with InTouch Machine Edition to attend the course. However, due to the intensive hands-on nature of the course, each student is required to be familiar with personal computers, the Windows Operating System. In addition, to get the most out of the course it is also helpful for the student to have a basic understanding of the Windows file structure, HMI for Machines, databases, and/or script-based programming. What will be covered on each day? The complete standard syllabus is available on request. What will the student have on completion of the course? At the end of the training, the student will have a copy of both the instructor’s project as well as their own on the provided USB flash drive, the notebook used in class. Will VbScript training be included in the InTouch Machine Edition Training? Because InTouch Machine Edition supports using the VbScript programming language, there will be some use of VbScript throughout the week, including instruction on basic syntax and structure. However, since this course is an introduction to InTouch Machine Edition, most of the scripting instruction will be focused on the InTouch ME Built-in language.